The fourth generation Impreza, Subaru Impreza Sport 2012, goes on sale this 20th December in Japan. 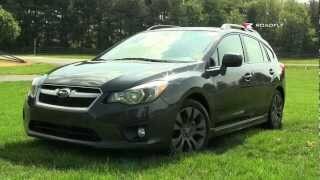 Superior reliability, handling and safety features of the Subaru Symmetrical AWD system with the Horizontally-Opposed Boxer engine at its core – these among many other qualities have made possible a safe and environmentally-friendly high grade global car while enhancing the sportiness of the Impreza. automobiles, today announced the release of the all-new Subaru Impreza which will go on sale through Subaru dealerships in Japan beginning December 20. （All-Wheel Drive）system with the Horizontally-Opposed Boxer engine at its core – these among many other qualities have made possible a safe and environmentally-friendly high grade global car while enhancing the sportiness of the Impreza. Subaru's brand statement“Confidence in Motion”is the foundation of its automobile development. Subaru is committed to engineering excellence and the creation of products in harmony with customer lifestyles and values. 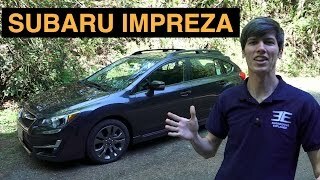 Its quest for“Enjoyment and Peace of Mind”through the Subaru experience hopes to achieve more Subaru fans, especially now with the all-new Impreza, our first production model embodying all of its visions. 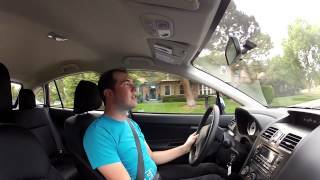 The Impreza series has earned worldwide acclaim as a stylish and sporty high-quality compact car since its debut in 1992.
interior”and“reﬁnement of driving comfort and environmental friendliness”. In order to realize these concepts, Subaru focused on improvements in fuel efﬁciency and environmental friendliness; enhancement of“fun-to-drive”characteristics for more pleasant and agile driving; actualization of a high-quality, spacious and comfortable cabin without increasing body size. Its excellence in quality exceeds the expectations of a car from this class. been enlarged to create a stylish ﬁgure that suggests a spacious cabin. -Special attention was paid to the materials to give the interior a feel of higher quality and roomier comfort more than what one would expect from the actual measurements. Named to express its stylishness in and out, spacious cabin and cargo, and superior driving performance capable of long journeys. Genuine + 4-door ＝ G4. A next generation sporty sedan with ultimately balanced driving performance and environmental friendliness. Basic model laden with all-new Impreza's appeal of high grade interior and driveability. Auto Start Stop system for excellent fuel efﬁciency. Most desirably balanced model with powerful 2.0-liter engine providing high output and fuel efﬁciency. Sportiness enhanced model with 17-inch aluminum wheels and side sill spoilers. Without changing body size from the previous models, Subaru aimed for a cabin that allows greater comfort for all passengers. without altering the vehicle's overall length and width. model. These features vastly facilitate the entering and exiting of the vehicle. lowered and flattened, a sub-trunk was added, and the 60:40 split folding rear seats were installed. The all-new Impreza was designed to convey the stylishness and agility of the Impreza series with its powerful eye-catching look of the front fascia and sophisticated profile. of use even though the overall size has not been increased. the vehicle both a sleek coupe-like styling and the emphasized presence of a trunk. Elements were carefully chosen for an interior space of high quality feel and roominess beyond actual measurements. ・The instrument panel is styled horizontally to add to the spacious atmosphere. ・Materials such as leather, metal and fabric were used effectually to be pleasing to the touch and eyes. switches on the wheel were designed to be in optimum size and shape for easy operation. field of view and to make getting on and off the vehicle easier. The rear seats also have a hip point that is set higher than previous models in order to enhance spaciousness. eco-friendly driving, Adaptive Cruise Control, and VDC activation updates. 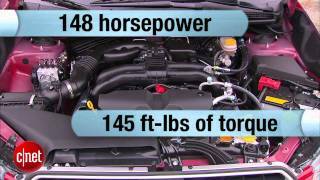 customers who have been previously driving cars with bigger engine capacity. 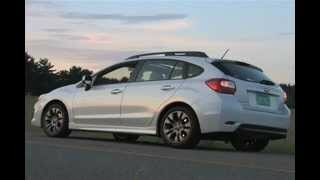 all-new Impreza will be the first to carry this type and will lead it to the global market. enhanced. The torque is also greater at all ranges from low to high speed. It has acceleration ability that stands comparison with the previous 2.0-liter models. previous 2.0-liter engine and also to the regular-use mid-low range torque.＊2 The engine is capable of equal acceleration performance as the previous 2.5-liter models and has a quick accelerating response even when the accelerator is only lightly depressed. friendliness and driveability by optimizing the parts and layouts. the driver so that the pleasant and secure feel of driving is not interrupted. the starter. This starter can restart even when the engine has not completely shut off. absorbing any road surface irregularities. Improvements in the rigidity of key points and optimizations in setting made possible both comfortable driving and agile handling. ・Vibrations are kept under control with a highly rigid cross member design, allowing improved driving stability and comfort. inside which steadies the vehicle's movements.＊5 Also, the stabilizer diameter was increased to improve driving stability. changed to a pillow ball type in order to improve stability when traveling in a straight line. efficiency, the smooth motor control allows a natural steering feel. ・Insulators are arranged optimally to offer excellent noise reduction. ・By employing ultra-high tensile strength steel, a light but durable cabin was achieved. body has been reduced in weight while attaining high rigidity. been mounted on the door panels. achievable. The VDC also incorporates a braking assist function. ・All models are equipped with a brake override control system. high level of collision safety from all directions was achieved. By making the pre-crash safety possible, Subaru's history of actualizing high safety performance has risen to a new level. Renewal of power trains to the new-generation boxer engine and new Lineartronic（CVT）, addition of fuel saving devices such as the Auto Start Stop system, improvements in aerodynamics, vigorous reduction of weight – these all contribute to the vastly upgraded fuel performance. Moreover, the multifunction display monitor will visually show the state of fuel consumption in order to support further fuel-efficient driving. The AWD models with Auto Start Stop system and CVT achieve the 2015 Japanese fuel standards.